The initial European experience with GEO telecommunications began in 1967 when a joint venture was signed by France and Germany to develop two experimental Symphonie satellites. The small (230 kg in orbit) spacecraft with 3-axis stabilization and two 6/4 GHz transponders were launched by the US in 1974 and 1975. The Symphonie system was highly successful in providing telecommunications links throughout Europe and to other continents. Both spacecraft far exceeded the 5-year design life span and were transferred to graveyard orbits in 1983 and 1985, respectively. 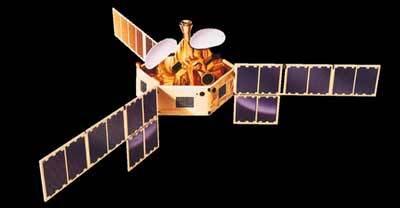 The Symphonie satellites were initially planned to be launched on Europa-2 launch vehicles, but due to the unavailability after several launch failures, they were finally launched on american Delta-2914 rockets instead.